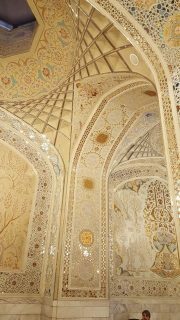 [ Editor’s Note: I don’t get to do many of these IRNA interviews but I like them, as they publish in English and Farsi, so it is a rare opportunity to reach a non-English speaking Iranian audience. The Trump announcement to designate Iran’s Republican Guard as an aider and abettor of terrorism was considered a cheap shot by many inside the US security community, who know how much damage the IRGC has done to ISIS at a fraction of the cost of the US campaign. The US-NATO aiding and abetting of proxy terrorism in Iraq, Syria, and Afghanistan is known by anyone that wants to. You can’t even count the articles published on it. VT alone has dozens, and no one with standing has ever challenged us on them. The Trump charge was timed perfectly to help bump Bibi to victory in the Israeli election, with a 36 to 35 win over General Bennie Gantz’s coalition. Netanyahu has always openly campaigned on how he can get anything he wants out of the US as a major vote getter. Americans don’t suffer much humiliation over this because major corporate media will not touch the story with a ten-foot pole, despite its being published in Israel. Did Trump interfere in the Israeli election? You betcha, he did. 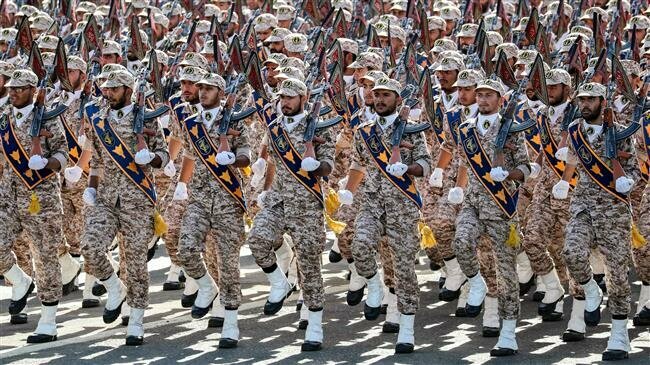 New York, April 9, IRNA – Managing Editor of ‘Veterans Today’ hailed Iran’s good record in confronting provocations and incidents, saying US is seeking to wage false flag attack against the Islamic Revolution Guard Corps (IRGC). 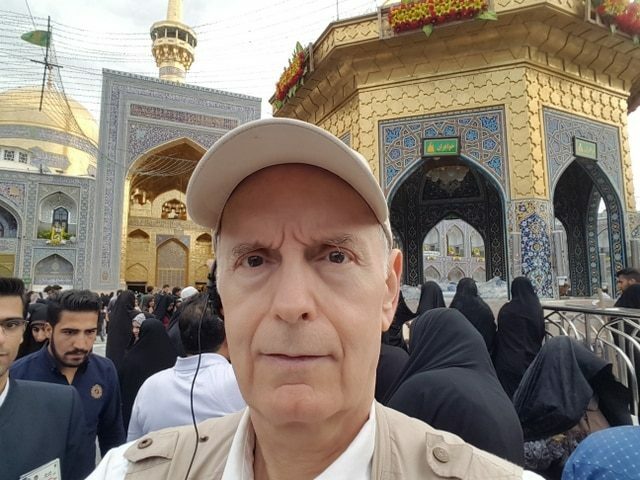 ‘This is especially the case when false flag attacks are used as a cover for launching an attack, but where politically it is deemed beneficial to look like a retaliatory strike,’ Jim W. Dean said in an exclusive interview with IRNA responding a question on the consequences Iran’s retaliation to designate US army as terror organization. In retaliation for US anti-Iran act, Supreme Council of National Security introduced US government as sponsor of terrorism and US Central Command called CENTCOM as among the terrorist groups. ‘The best punishment for false flag perpetrators is to expose what they did publicly in detail, and let them face their own people knowing what they did,’ he said urging Iran to be more cautious in giving any response. ‘Iran has a good record at not being baited to over-respond to an incident,’ he reiterated. ‘As bone spurs are permanent, there have been calls for Trump to show he still has one, but they have been ignored,’ he added. If the designation is used to allow things, for example, like drone strikes against IRGC forces or key people, simply on the grounds that they are members of a terrorist organization, then I think Iran would respond,’ Dean said referring to the US terrorist designation as just a theatrical move which could change quickly. ‘Such events could be orchestrated simply for his reelection purposes, and this is known inside the Pentagon, as our Veterans Today sources tell us it has been discussed there,’ he stressed. Earlier, Iranian foreign Minister in a message termed as a dangerous misadventure by US President Donald Trump new anti-Iran choice to blacklist the Islamic Revolution Guard Corps (IRGC). ‘Another misguided election-eve gift to Netanyahu. Another dangerous US misadventure in the region,’ Mohammad Javad Zarif tweeted on Monday. The United States has been plotting anti-Iran measures for forty years now, but the Iranian nation has stood against these measures and will strongly support the IRGC forces, he said. I find it highly dubious at best and ludicrous when the orange buffoon in the White House designated the IRGC as promoting terrorism when the facts speak otherwise. tRump is a buffoon, ignorant and only partially literate. Iran has been the victim of many acts of terrorism, thousands have been killed, and much of it laid at the feet of the MEK that now is getting support from this administration. So who’s the real terrorists? It boggles the mind of any sane and rational human being. Sanity and reason are not however, found within the tRump administration. When you have that many neo-cons within one room, expect only the worst. It’s like an insane asylum . The best thing would be to remove tRump and the entire lot before they can cause any real damage. Is there anyone within the Pentagon or congress willing to do so? Very good article by the IRNA and very good work too Jim for passing on this information to an audience that needs to hear this from a US citizen. I like how you said there are honorable people in the Pentagon who don’t want to see soldiers die for a falsified war. HEAR HEAR!! I have a vested interest in seeing Iran in one piece and I totally despise Bibi, Trump and the whole scheme that is trying to cause war in Iran. I hope this is all huff puff and hot air. I love the Iranian people and I love my Iranian friends very much. I tell them about this and it would break my heart to see my friends and their families be hurt if these mother-far-cars in power allow it. May God protect the Islamic Republic of Iran. Khorda posht o panah Iran bashad. Well, it’s too late for that. Thousands of Americans have already died in ginned up wars in Iraq, Afghanistan, Syria , Yemen and Somalia. Not to mention the untold millions of innocent men, women and children. So it’s too late for that sort of moral relativism. It was a breath taking visual experience and we were lucky to get there more dusk to see it in light and as the lights came on. It is actually a small city, over 20,000 employees, with about 6000 full time, the rest volunteers. We were there on a Friday at prayer time so we saw the locals. 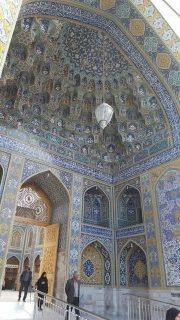 It’s amazing that it has not been looted or destroyed in any of the wars. One could easily spend a week going through it. 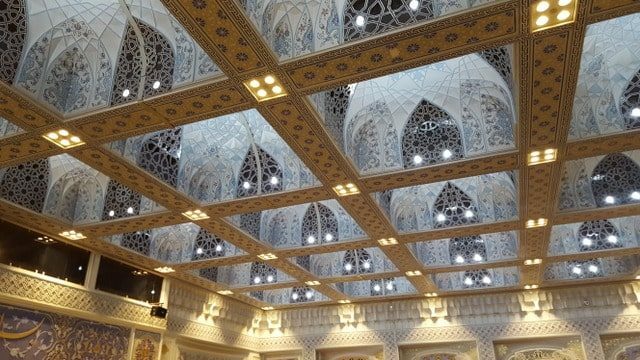 Theres a Hadith that says visiting Imam Reza(as) is a free pass over the razor sharp bridge over hell that all Humans must cross one day.